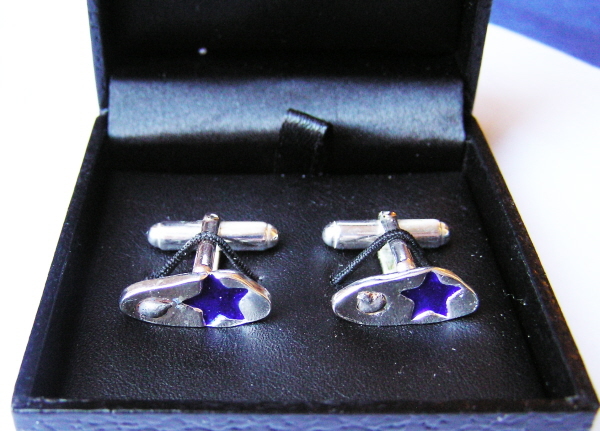 << Back Solid Silver Meteorite Cufflinks - AS SEEN IN SKY AT NIGHT MAGAZINE! 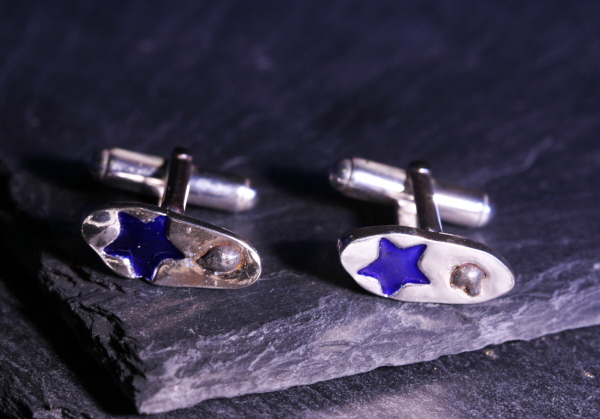 Each link has then been inset with a cobalt blue enamelled star. Boxed and labelled and accompanied by signed certificate of authenticity - complete with sophisticated holographic serial number, and an A4 meteorite information sheet. 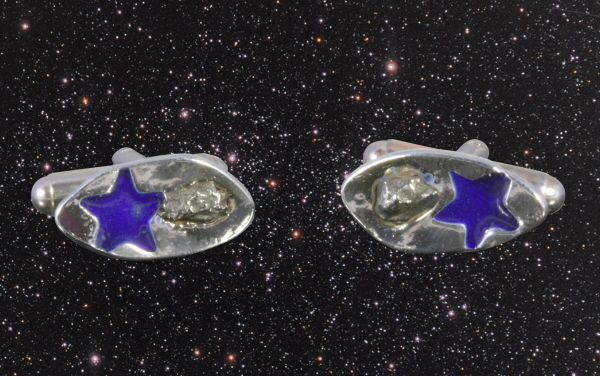 This is a useful introduction to the amazing world of meteorites!